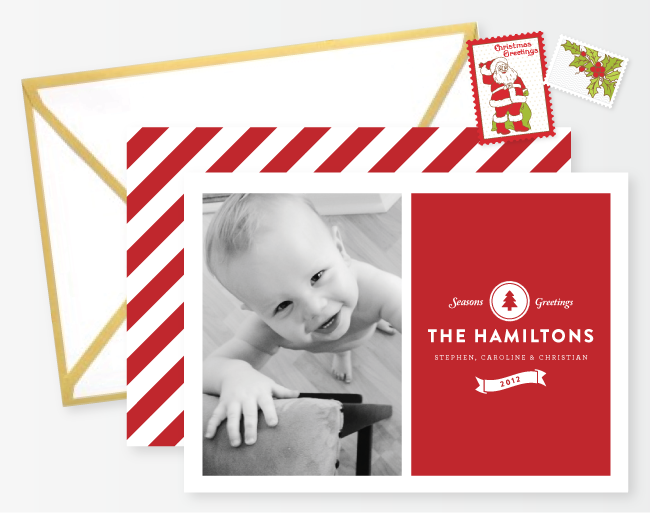 Our new holiday photo card sets! I am going to have the hardest time choosing a card for our little family this year : ) I just love all of these! Each set comes with double sided cards (HEAVY paper) and these amazing gold seamed envelopes!! Ready, set, go! Cute little photo by Gina Zeidler… on her IPHONE. Amazing, she is.